When I was in Miami at the end of January for the half marathon we were given these little pouches of water and a lesson in how to use them as they were going to be used along the course. After posting this on Facebook at the time my Audra put it best as a solution to a problem that doesn’t exist. The idea behind these water pouches is that they’re supposed to be an easy way to carry hydration while on the run and they’re recyclable. I never got a chance to use it during the race because they ran out so I was stuck using the old water in a paper cup. I did, however, get to experience how they were more dangerous to me than the paper cups. The paper cups pretty much start to degrade as soon as they hit the ground unlike the plastic pouches which I almost slipped on twice during the race. This defeats the 82GO theory about them being more recyclable. I brought one of these babies back from Miami and took it out on the road this morning for my four mile run. They are easy to carry in your hand but you do have to open them a certain way or the water just pours all over you. Also, you have to drink the whole thing at once because there isn’t a way to reseal the bag after it’s opened. Not a good thing when you only need a few sips of water. Yes, it was easy to put the empty bag in my pocket when I was done and then just put it in my recycling bin when I got home but I don’t see the practicality of using these for long runs. For those I’ll just stick with my Fuel Belt or Amphipod bottle. Instead of being a solution these only created more problems for me. For more information about how these things work you can visit their websiteand watch the instructional video. 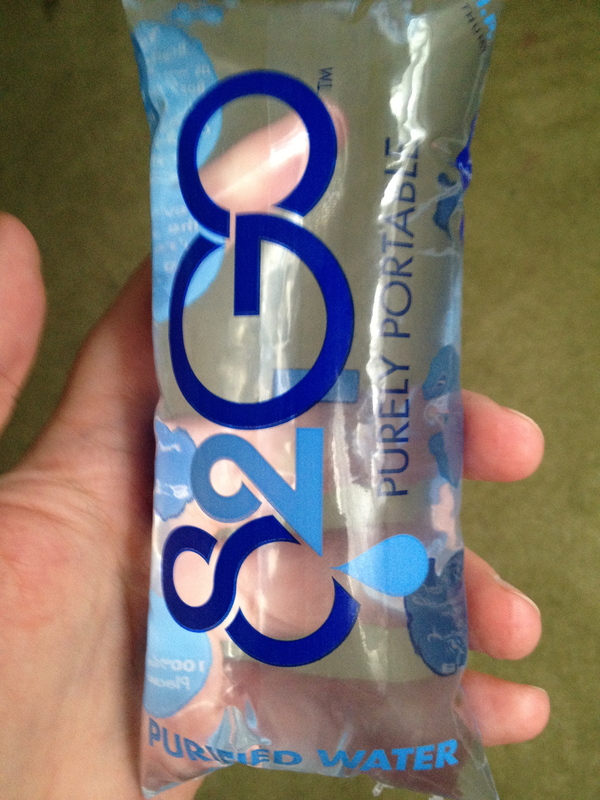 This entry was posted in running and tagged 82GO, hydration, Running, water. Bookmark the permalink.